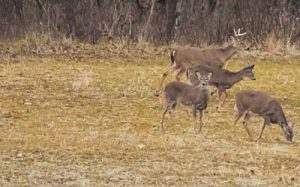 If you are preparing for a military tent adventure, especially a winter camping trip, don’t dismiss the possibility of taking a horse with you to deer camp. There are several reasons to take Old Tenderfoot along other than the fact that it just looks cool. Here are five. No adventure is quite as exciting without a certain spice of danger. Let’s face it, the reason that we go on military tent adventures is to face the dangers of the wilds. We make a bid to leave the seclusion and safety of our homes and venture out into the wilderness, man against the elements. So… why not pit man against beast as well? There’s very little more dangerous than trying to take a powerful, living creature who has a will of its own, and trying to make it carry you around on its back. Not to mention the fact that it has ten times your strength, twenty times your speed, 4 times your weight, hooves that can kick concrete bricks apart and a bite that can easily crush walnuts. You can hunt deeper into the woods and get there faster. There’s nothing like a long ride into the mountains in the early morning while hunting big game. The warm smell of your shaggy friend as he bears you through the rough terrain or deep snow is second to none, and even if you don’t have a successful hunt, you can have a wonderful horseback ride. 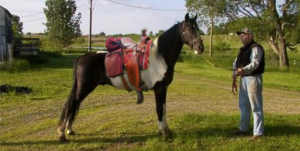 With a horse you can camp deeper into the wilderness as well, hauling your tent and all of your needed supplies on his back rather than having to use a truck or other means of transportation. We’ve all been there. 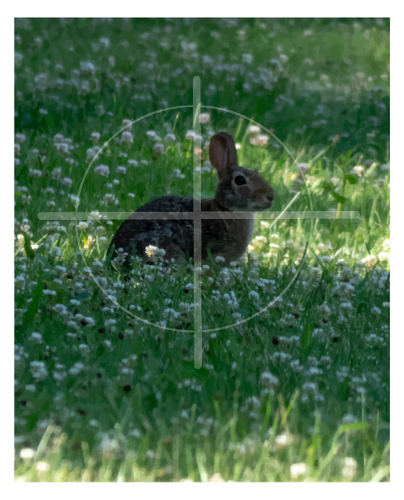 One minute you are out in the bush enjoying a camping or hunting trip and the very next minute you are engaged in a fight for survival, depending on nothing more than the items you have on you and your steely wit to save from certain death and damnation. In times like these there is nothing in the world that you need more than some para-cord. Of course we all know how to make cordage out of the inner bark of certain plants and trees, or how to cut cordage from rawhide, but to be honest, having some prepared and quality manufactured cordage on hand can be the difference between a fun survival trip and one which is just a miserable struggle. 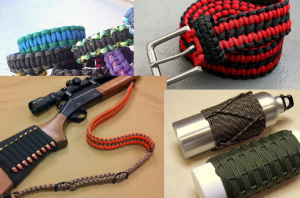 So here are four ways to be prepared for a survival situation by having paracord on hand as a replacement for everyday items. Wear a survival bracelet. You know what these things are, they are all the rage today, and most of you probably even know how to make them. If you don’t and you want to learn, watch a youtube video. Not only are they snazzy and you can make them to represent your favorite sports team or whatever, but they are easily incorporated into everyday dress. Craft a belt from paracord. Let’s face it, you need a belt anyway, why not make one from paracord and then you will have plenty of cordage with you at all times? Make a rifle/shotgun sling. This concept is relative to the concept of having a belt made of paracord. Why not craft your own long gun sling that you can use as a functional sling and put to use as cordage in a survival situation? Use as a wrap for your water bottle. Not only does this concept allow you to have a non-slip grip on your water bottle during a military surplus tent adventure or outdoor excursion, but it also supplies you with a plethora of cordage to use in a survival situation. As with all of these concepts, instructional videos are easily located on youtube. One of my favorite stories from the Bible is that of David and Goliath. It’s not so much that it is a story of great heritage and tradition, it is that of course, rather it is the concept of a man using what he had to get what he wants. It is, in fact, one of the ultimate stories of survival. 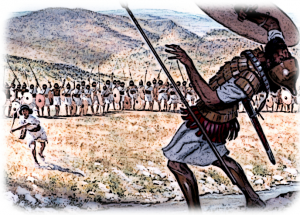 And it warrants discussion, I think, because the weapon of choice for David was one of the most basic of all survival weapons, a simple stone sling. Now, a stone sling is not the most simple survival tool, that honor goes to the throwing stick, a solid bow of wood about the circumference and shape of your bent arm which you can hurl at enemies or prey with fairly amazing accuracy. But a sling is a very close second. A sling involves nothing more than two pieces of cordage, (rawhide or shoelaces will work), that holds a pouch for a stone in between them. (I have use the insides of pants pockets and shoe tongues before). The premise is to use centrifugal force to generate velocity and to direct the generated velocity at your target in an accurate manner, or, in layman’s terms: to get a good spin on it and give it a fling! These things are highly accurate and are used the world over to bring down some pretty hellacious foes. In survival, you will use what you have on hand. In any event, I have compiled four good reasons that a stone sling is a good choice for survival… enjoy! It is easily made. Whether you find yourself in a survival situation, are with your family on a camping trip or a military surplus tent adventure, or are embroiled in the most desperate of apocalyptic measures, you can always find what you need to make a sling. Even the half rotten carcass of a deer can yield enough rawhide to fashion one as will the inner bark of a willow tree. The ammunition is cheap. It shoots rocks, arguably the most common resource on the planet. It is quiet. Except for the spin of the sling through the air, and the whack of the stone on target, this thing is whisper quiet, unlike a bow that produces a “thwack” when the arrow is released, or even an atl atl which makes a bit of a snip when thrown. It is ultra portable. This thing folds right up into a pocket or will hang around your neck quite nicely. Also works in a pinch for other uses. 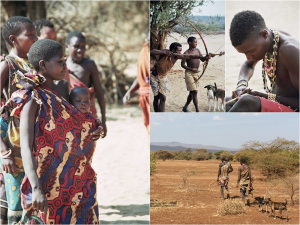 Consider if you will, the Hadza people of Tanzania. They are a true hunter-gatherer society who’s men leave their grass huts at the crack of dawn, poison tipped arrows in hand, and venture out into the wilds of Africa in search of their next meal. This meal could be anything from a small frog or bird, to a full or half grown giraffe. The women also venture forth to perform the other aspect of their existence, the gathering. 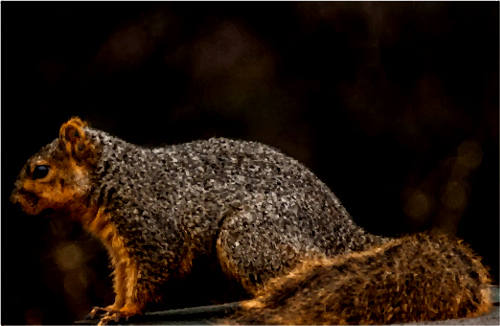 They go in search of berries, roots, vines and tubers which add supplement to their otherwise protein rich diets. This is everyday life for this indigenous people, and it is the same lifestyle that your ancestors lived so many thousands of years ago. 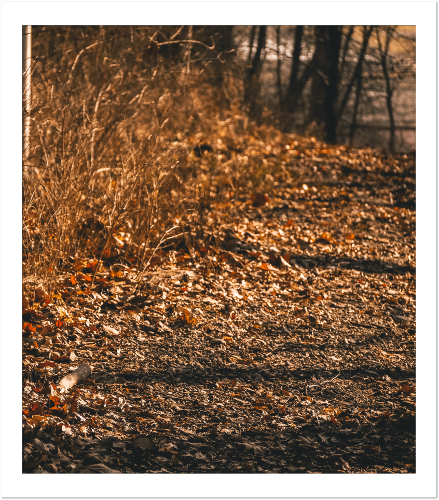 It is the same life that we practice, train, and prepare for as survivalists; however, a close look at these people reveals to us, if we are completely honest, a strong deficiency in our commitment to make a living like they do. In all fairness it must be said that the ability to eek out a living on the plains of Africa is not going to be the same as trying to live in the wheat belt of America or in the mountains and fruited plains. However, it becomes apparent that society and evolution have not necessarily been good to us as far as keeping our survival skills keen goes. A recent study from Yale researchers has shown that these people exercise vigorously nearly two and a half times as much as the modern athletic American or European. As a result the studies further show that these people are extremely low risk for ailments such as heart disease, high blood pressure, arthritis, high cholesterol, and diabetes. They furthermore don’t seem to slow down as much or are effected as much by age as are their Caucasian counterparts. Nor do they suffer from dementia. Do you want to be a real survivalist? Take heed of these people then and see what it will really take in a post-apocalyptic society to stay ahead of the game… no pun intended. I have told you before about my favorite bear hunt plan that was going to be a combination military surplus tent adventure and hunting trip. In this endeavor, myself and The Wildman had planned on taking a black bear with a couple of spears in the Great Smoky Mountains, since we both fancied ourselves to be great hunters and survivalists. That was, until we actually arrived and found out two very key factors: 1. The black bears at the Great Smoky Mountains are protected, and 2. 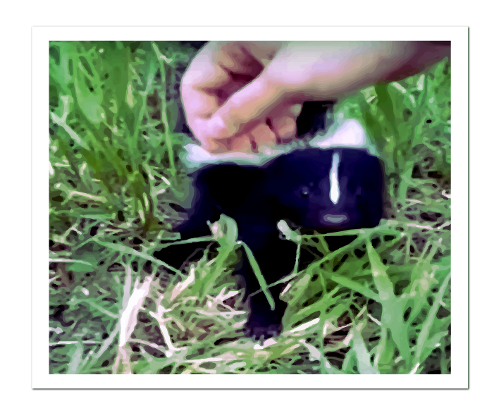 They are just little bitty things that are nearly as tame as dogs. After having fed several of them bologna and cheese sandwiches, and hearing one of them literally cry like a baby when The Wildman cuffed it on the nose for getting a bit “nippy”, we both elected to amuse ourselves with taking pictures and we left the hand forged spears in the truck. However, the North American Grizzly bear is another critter entirely, and if you are actually in the mood for a spring bear hunt, let me give you five recommendations, (according to LiveOutdoors), for an excellent bear hunt this year, where you will be more than happy in pitching your military surplus Army tent and making a week out of hunting this big, magnificent creature. Russia. In Kamchatka they offer more to enjoy than a milky butter rum drink, there are bear aplenty. Just a few miles away from Alaska, this territory is densely populated and very affordable in terms of actual cost. A guided hunt here starts at around $8,000.00 American and goes up from there. Romania. In the Carpathian Mountains is the place where 70 percent of the bear population can be found. These mountains stretch all of the way into the Ukraine, and this would be the site for a true and exotic adventure… there are many skeletons weathering on the crests and bluffs of these rocky mountains and not of them are quadrupeds. Canada. 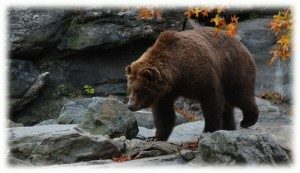 In Canada we have ample bear hunting in British Columbia, which will run you about $3,500.00 American dollars for a black bear and it just climbs from there for griz… however, there are ample griz and if you’re willing to pay you can harvest one for the hunt of a lifetime. Canada. Manitoba is another Canadian spot which just re-opened it’s bear season last year. Jump on the new season for a mere $2,650 dollars for a week in the wilds. Croatia. Gorski Kotar is a mountainous region in Croatia which is reportedly famous for it’s bears. Trophy hunting is the most expensive but is also most likely to be the most rewarding starting at $6,000.00 American.